With all your imagination and dreams you land at Delhi airport today. Times India Travels representative will be waiting at the gate of the airport lounge holding a placard of our company. Welcoming you he takes you to the hotel booked for your stay in Delhi, the capital city of India. If your flight arrival time is in the morning, we arrange a visit to you. If your arrival time is in the evening you get little time today, only you can enjoy Light and Sound Show at Red Fort or you can laze at the hotel itself. Overnight stay at Delhi hotel. After breakfast, gear up for a full day Delhi tour. If you want a guide to accompany you we arrange a knowledgeable guide (some tourist wants to discover on own). Spilt into two parts-New Delhi and Old Delhi, the capital of India sums up the spirit of India. In New Delhi you see the last architectural creations of British Raj, the huge roads are tree lined (dry, yet green). New Delhi is fascinating and hoity-toity. (I couldn’t deceive you, it is chaotic a lot. )Typically Indian, Old Delhi houses the Mughal architectural marvels—Red Fort and Jama Masjid. First you visit the Red Fort which was built by Shah Jahan is impressive. The huge fort with various inner halls will mesmerize you. You will sure praise the talent of Mughal Emperors after seeing it. Jama Masjid is the biggest mosque in Asia. From Jama Masjid you head towards the Chandi Chowk market meaning literally moonlit square and it was created by Shah Jahan where his daughter can shop. It is a market with historical character. It is lively. You can pick up here some antique things. Then you end up your morning tour paying tribute to Father of Nation, Mahatma Gandhi at Raj Ghat Memorial. Then you have your lunch at an outside restaurant. After lunch you tour New Delhi. Drive past the Rashtrapati Bhawan, halt at the India Gate, Arch Memorial of World War I. 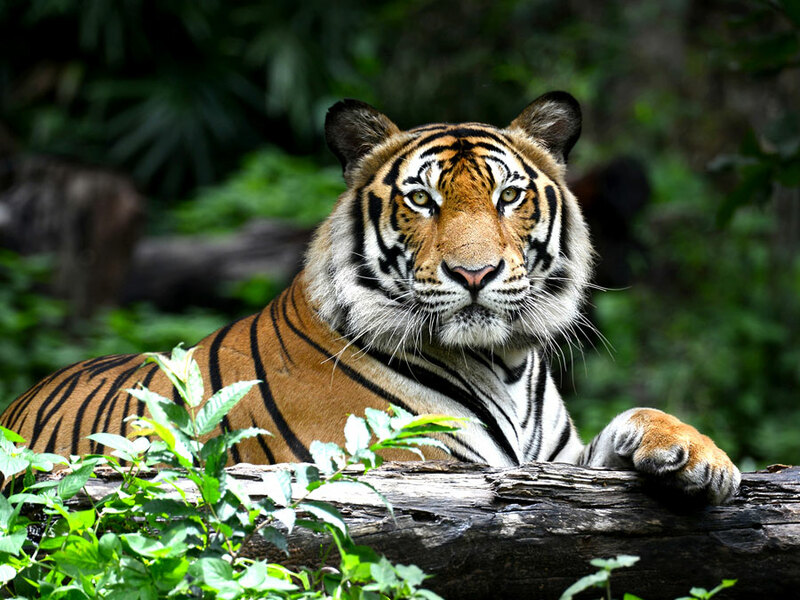 You visit the Humayun’s Tomb, Qutub Minar, Akshardham temple, Lotus Temple, Iskon temple, etc. In New Delhi, you see various un-Indian sights, typical of a European city. Evening you can pass you time on your own. You can do shopping also. Overnight stay at Delhi hotel. On the third day morning of your tour, welcome the day with enthusiasm. 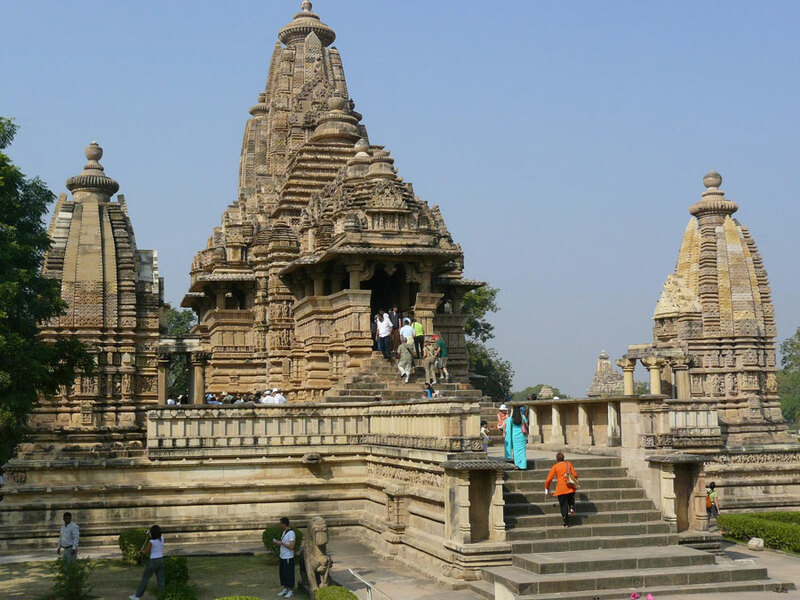 Our driver will drive you to Mandawa located in the semi-desert Shekahwati village of Rajasthan.You drive past the Indian villages, the typical Indian sights and many more. On the way drive, you will have your lunch at a roadside hotel. On arrival, you will be accommodated at a Haveli hotel. Mandawa was once the trading outpost for the caravan traders of China and Middle East. This village houses the havelis and forts, the havelis are emblem of beauty and perfection of Shekahwati paintings. You will surprise to know that the rich merchants of Mandawa led an extravagant life and patrons of art and culture. They decorated their havelis with frescoes.Today you visit the Mandawa Castle and havelis of Mandawa. The motifs of the paintings are Hindu gods and goddesses, courtship of Lord Krishna with Radha, themes of myths and scriptures, etc. You can explore Mandawa havelis by a camel drawn cart. Overnight stay at Mandawa hotel. After breakfast, you move towards Jaipur, the pink city of Rajasthan.Upon arrival, you take your hotel. The rest of the day is for leisure. You can do your shopping today as Jaipur is a paradise for shoppers. Explore the carpet emporiums, jewellery shops and clothes stall. Overnight stay at hotel. After breakfast you head towards Amber Fort located at a distance of 11 kilometers from Jaipur city. You enjoy elephant ride to the top of the fort. It is more interesting than the exploration of the fort. The pastoral setting thrills you. The foreground lake adds beauty to the setting. 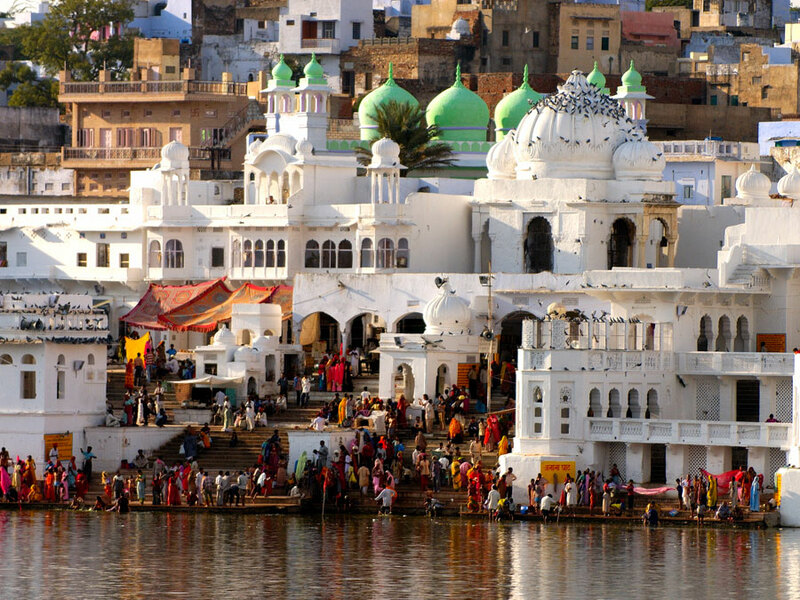 Explore the Rajput architecture. You see some here some elements of Muslim architecture also.You visit Jal Mahal located amidst the waters of lake on the scenic backdrop of Aravalli Hills. After lunch you visit City Palace and its Museum, Hawa Mahal, the palace of winds, Jantar Mantar, the astronomical observatory. 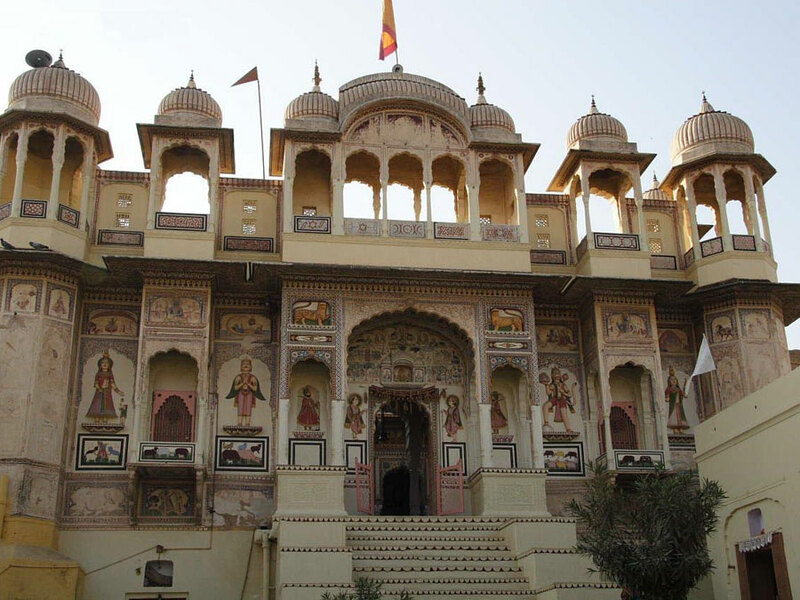 Palace of Wind is a classic piece of Rajasthani Rajput architecture. The ladies of the court peep into the outer world through the windows of Hawa Mahal. Evening a memorable dining for you at Choki Dhani, an ethnic restaurant located outskirt of the city. Here you grasp the pure charm of Rajasthani art and culture. Enjoy music and dance here. Return back to your hotel for stay. Leave Jaipur after breakfast. Then you head towards Agra, the home of Taj. 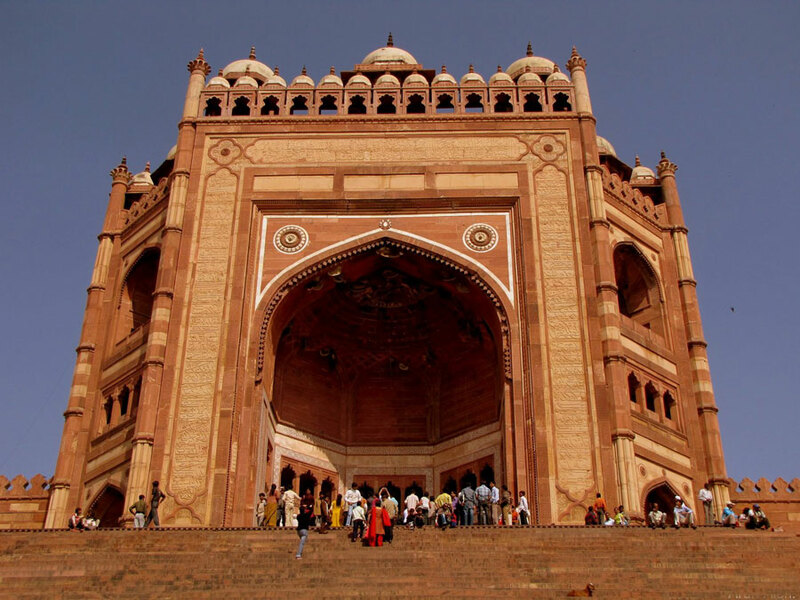 Enroute you visit Fatehpur Sikri, the deserted capital of Mughal emperor Akbar. The beauty of Fatehpur Sikri lies in its veiled crannies and nooks. The silence speaks to you about the glory of Mughal rule. Upon arrival at Agra, you halt at the hotel. After lunch you take rest for a while. Then you set out your Agra tour. You visit Agra Fort and the It-mad-Daula’s Tomb. At the sunset time you explore Taj. Taj Mahal is poignant than any other wonders of the world because it was made for love. 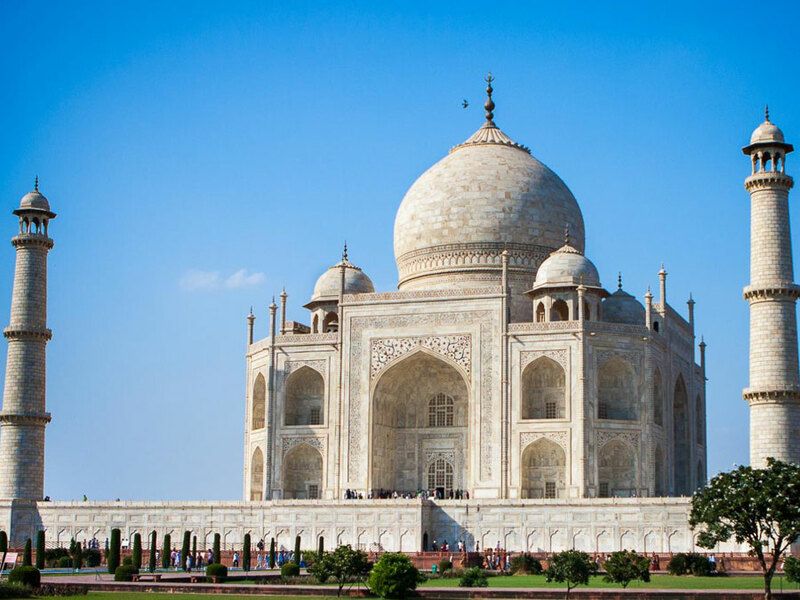 Shah Jahan built it to immortalize his love for wife Mumtaj Mahal. There is a tragic story behind it. When Shah Jahan was imprisoned by his son Aurangzeb at the Agra Fort, he passed his moments gazing at the Taj. Overnight stay at Agra hotel. On the last day morning of Taj Mahal Tour go back again at dawn to see the beauty of Taj. After breakfast pack up to Delhi to catch your onward flight. Fly back home with cherished memoirs of the tour.